It's related to thinking, of course, but there is a difference between thinking and thought process. In a sense, we can break "chess thinking" into three different types, each representing a different class where you may make errors. Let's put process in class one, knowledge in area two, and analytical in class three. The latter usually occurs at a higher level, but it's useful to know how errors during analysis can happen. There is also a grey area, which we can call "visualization errors;" that is when you are looking at a position, analyzing it, but you can't clearly see it in your mind. In this new series, Coach Dan Heisman examines the most common thought process errors of class players. Each video highlights a common error with discussion and examples. 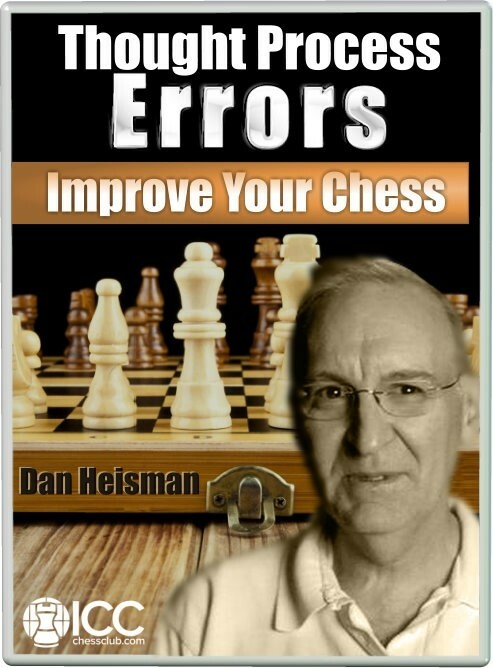 Typical errors include quiescence errors, visualization problems, focusing too much on one candidate, moving too quickly or slowly, just because it is forced, not considering all the things a move does, not taking into account the state of the game, hand-waving, and hope chess. This new, awesome series is aimed at club players, who want to achieve a better understanding of the thought processes that are fundamental to improve their game. An introduction to the concept of "thought process" in chess, and how it can lead to mistakes. This video covers errors where the thinker stops his analysis too soon when the position is still not "quiet." The error where the not-optimum question "Why did he make that move?" is asked and the answer "Because it is forced" allows the thinker to erroneously assume that's the only reason for the opponent's move. The video deals with the error where a player takes time, but spends almost all of it on moves other than the one that will actually be played. Never gets around to asking about the move played "Is it safe? If I play this move, what are all the opponent's dangerous replies (checks, captures, and threats) and can I safely meet each one of them? 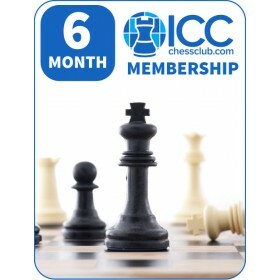 The video deals with the error where a player calculates sequence A (his move) B (opponent's reply) and C (how he might counter opponent's reply next move) and then after playing A and encountering B, plays C immediately on the next move, often with adverse consequences. The video deals with the error where a focuses on one move or idea, to the exclusion of other, possibly better ideas. This is akin to trying to prove how good your move is, rather than asking if there are better moves. It is based on Cecil Purdy's well-known principle "Look wide before you look deep." The video deals with the common error where a player plays too quickly for the situation. The "situation" takes into consideration the position, time control, move number, time remaining, and/or increment. The video deals with the common error where a player plays too slowly for the situation and, as a result, gets into unnecessary time pressure. The "situation" takes into consideration the position, time control, move number, time remaining, and/or increment. This episode deals with the error where a player doesn't look at all the opponent's reasonable moves to determine which are best and/or most dangerous. Instead they "assume" moves by the opponent which are the ones they either want or are not necessarily the most dangerous. The video deals with a special case of "Hope Chess" error where a player makes a move in an analytical position using general principles instead of careful analysis. 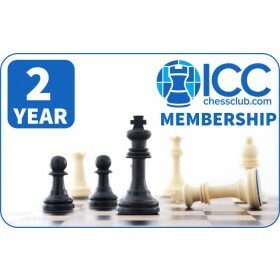 The video deals with the common error where a player makes a move without taking into consideration all of the opponent's checks, captures, and threats (the forcing moves) in reply, to see if he can safely meet them all next move. The last episode of the series deals with the situation where a player gets to a position in his analysis where he or his opponent have multiple reasonable moves (like recaptures). Two possible errors are 1) not considering all the possibilities and 2) not understanding how the analysis and evaluation of some possibilities affects the need to consider the other possibilities.